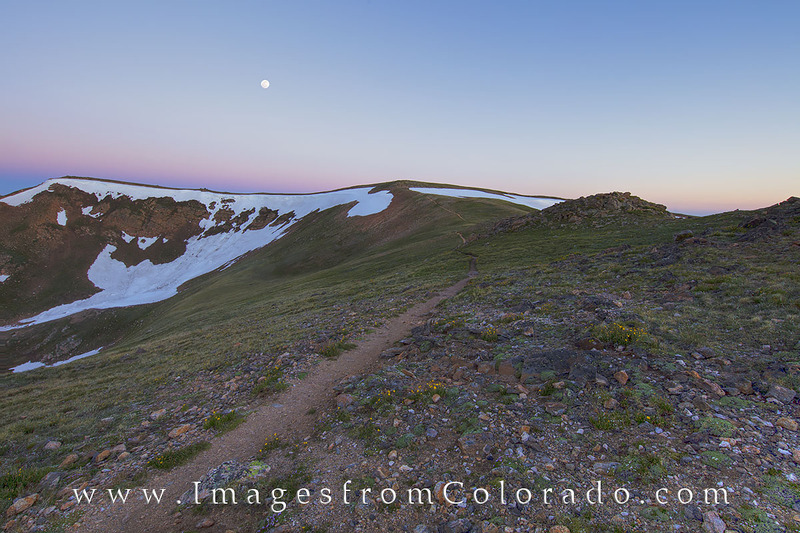 Along the Continental Divide Trail just before sunrise facing southwest, the full moon sets behind Russell Peak (12,391'). This portion of the trail rises up from Highway 40 along Berthoud Pass and this trail leads over to Russell Peak. Behind this little summit is No Name Peak at 12,424'. This Colorado makes for a great early morning, and you'll rarely see anyone else at this time of day. Photo © copyright by Rob Greebon.